Rasoi By Vineet is the first fine-dining restaurant of its kind in Bahrain, perated by a Michelin starred chef, and is no wonder that it has become the Kingdoms favourite dining destination (at The Gulf Hotel Bahrain). Residents, visitors and foodies alike can soon take delight in the refreshing flavours and tantalizing dishes that look to be a part of the ‘ All New Menu’ at Rasoi By Vineet. Since it’s opening, Rasoi By Vineet offers this unique and modern interpretation of traditional Indian food. The décor with its vibrant colours, sparkling crystals and a large see through window into the kitchen hopes to create a dramatic setting to experience this food. “Preparing good food is an expression of art, an unhurried approach and requires certain instinct rather than exact measurements. 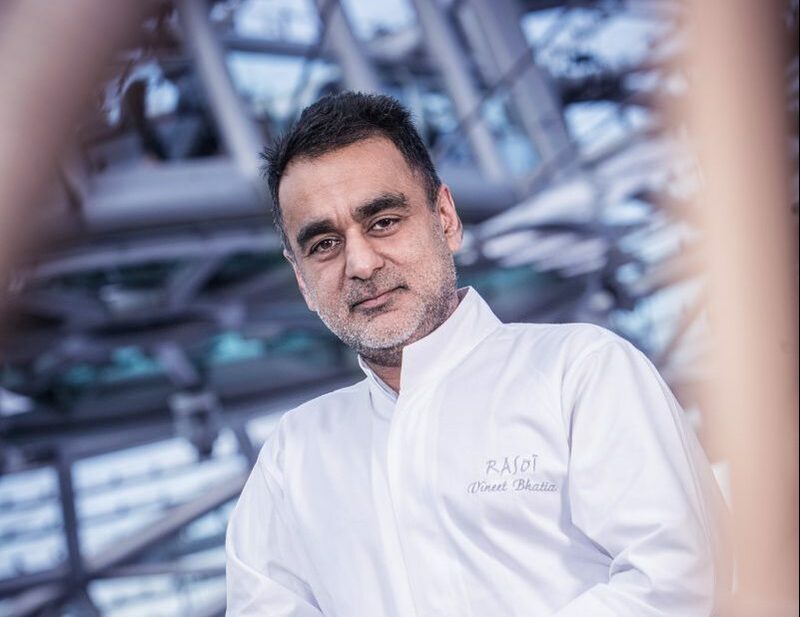 My vision is to re-create, those dishes steeped in the rich heritage of traditions and culture and re-interpret them in today’s scenario and for today’s diners.” Chef Vineet Bhatia said. Rasoi by Vineet can cater for 130 covers; lunch and dinner and features a private Chef’s Table dining room to seat diners.